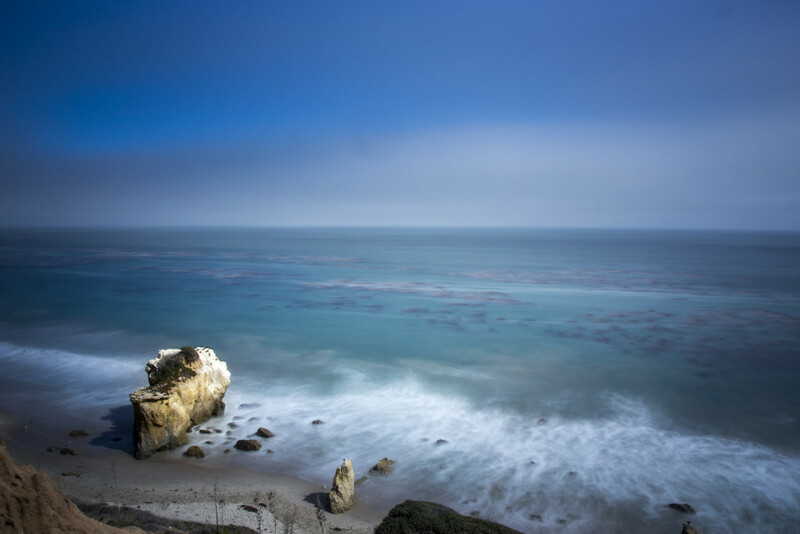 Located approximately 10 miles west of Malibu, you’ll find El Matador State Park. It is one of three “pocket beaches” that make up the Robert H. Meyer State Beach on this lovely stretch of the Pacific Coast Highway. If you are in the Malibu area, I encourage to wait for a parking spot in the very limited parking lot of this beach, or park along the PCH and walk in. You won’t regret it whether you’re going to take photos like this one or if you are going to enjoy the beach. For this particular photo, I set up my tripod and camera just off the path down to the beach. You really can’t miss it.